With winter approaching, motorists are warned to be aware of roaming animals close to the road reserve. Although roaming animals are solely the responsibility of their owners, it is in TRAC’s interest to keep the N4 Toll Route animal-free as safety on our road is our primary concern. 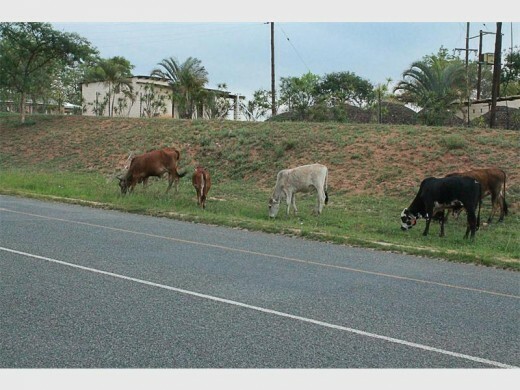 With a large portion of the N4 Toll Route between Tshwane and Mozambique running parallel to farmlands and highly-populated rural areas there is always a risk of livestock or pets roaming onto the road. With winter approaching, the problem is expected to escalate as livestock move closer to the road reserve in search of better grazing land. This problem concerns TRAC immensely as it has a direct impact on safety on the road. However, we need assistance and support from communities along the route to address the issue effectively. Despite our efforts to resolve the problem through various methods – such as erecting fences and barriers to keep animals off the road – the problem persists. This is attributed largely to two factors – the lack of support from community members who allow their animals to roam free and the ongoing theft of the erected barriers. We therefore appeal to owners to do their part in keeping their animals off the road by confining them to enclosed areas. According to law, the onus to prevent livestock or pets from straying, falls on the animal owner. If damage is caused by an animal straying onto a public road the animal owner can be held liable. We further urge community members to report the theft of SANRAL infrastructure to TRAC’s Whistle Blower Hotline on 082 900 2447. Callers remain anonymous and could be rewarded with up to R10 000 for information that leads to the recovery of infrastructure and/or legal action. If a collision seems inevitable, don’t swerve to avoid the animal; your risk of injury may be greater if you do. Road users are also urged to play their part in combating this problem, by reporting stray animals to the TRAC 24-hour Helpdesk on 0800 87 22 64 or 082 881 4444.